Since the popularity of cellphones has taken off, the amount of people who use them behind the wheel has drastically increased. Studies show that texting and driving is even more dangerous than driving under the influence of alcohol. New Jersey is working to crack down on illegal mobile device use in order to keep the roads safe. However, New Jersey drivers are permitted to use their cell phone in a “hands-free” manner, such as through Bluetooth or features on newer vehicles, including Apple CarPlay or Android Auto. There are a number of fines and fees associated with texting and driving. 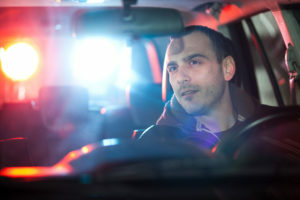 Those who are issued a first violation will be subject to a fine between $200 and $400. If a driver is caught illegally using a hand-held mobile device behind the wheel for a second time, they face an increased fine that falls between $400 and $600. Finally, third and subsequent offenders will be subject to a fine of anywhere from $600 to $800. It is important to know that if you have a third or subsequent texting and driving offense conviction, you will have three points added to your driver’s license. When you have points added to your license, it will result in increased monthly insurance premiums. In addition, if you have too many points on your license, it may even result in a license suspension. Third or subsequent texting and driving offenses may result in the suspension of your license for an additional 90 days. It is important that drivers abide by the texting and driving laws of New Jersey for the safety of themselves and the others around them. If you have been issued a traffic ticket for texting behind the wheel, contact an experienced attorney.